Price Chopper Free is celebrating National Donut Day today with a Donut Coupon. 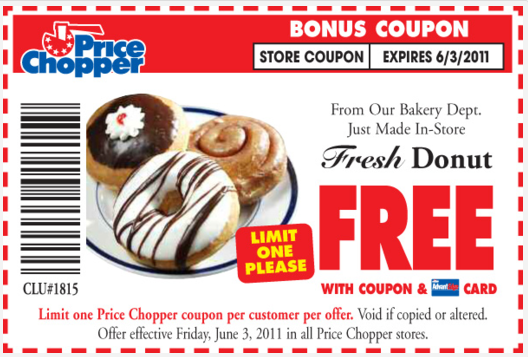 For today only, you can get a free donut at Price Chopper. There is a limit of 1 donut per person. And, don’t forget about the Free Donuts Today at Dunkin Donuts & Krispy Kreme.